Work clothes get a pretty bad rap for being, well, work clothes. But, we beg to differ! 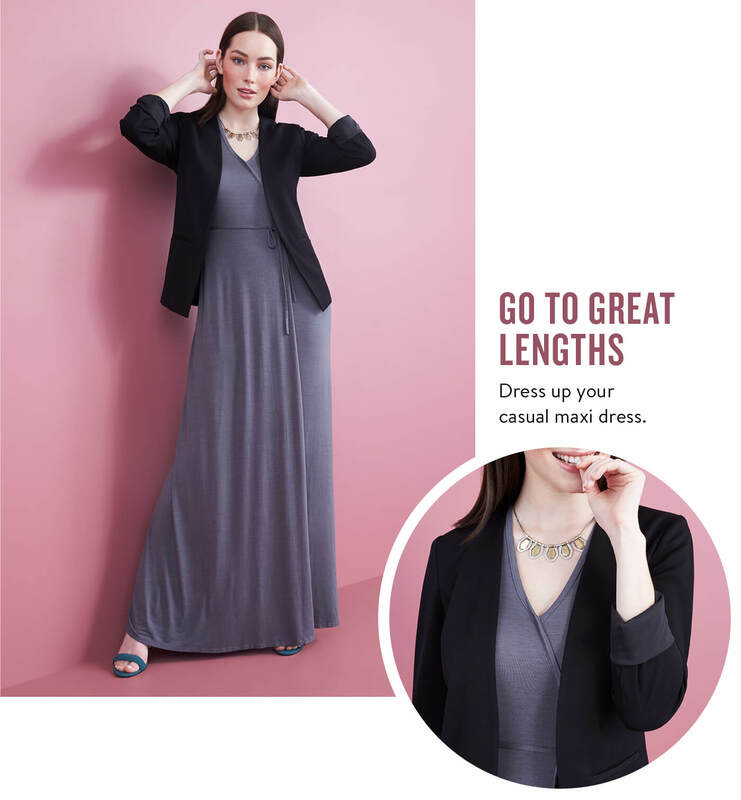 Considering how much time many of us spend in office-appropriate attire, there’s no reason why business casual shouldn’t be a little more business fabulous. 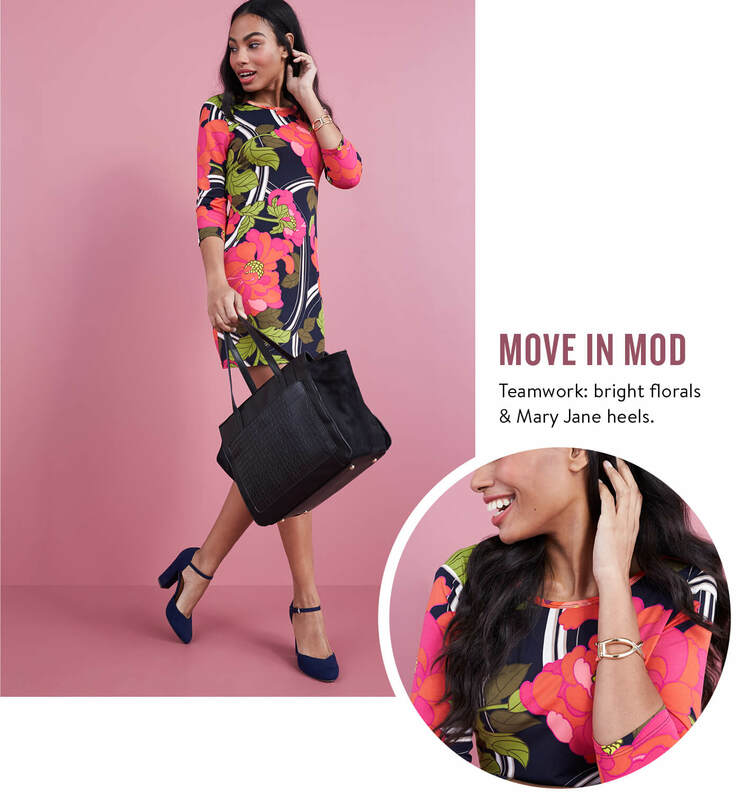 Here are 5 tips to put spring’s leading trends to work. Lace’s place is in the office. Believe it. The key is to remember that a little goes a long way, and that this super soft texture needs to be balanced. We love pairing a lace top under a blazer or with a suit, to add a hint of femininity to a power look. Stylist Tip: To amp up your statement, choose lace in a rich, modern tone. Dressing in head-to-toe neutrals is seriously chic. 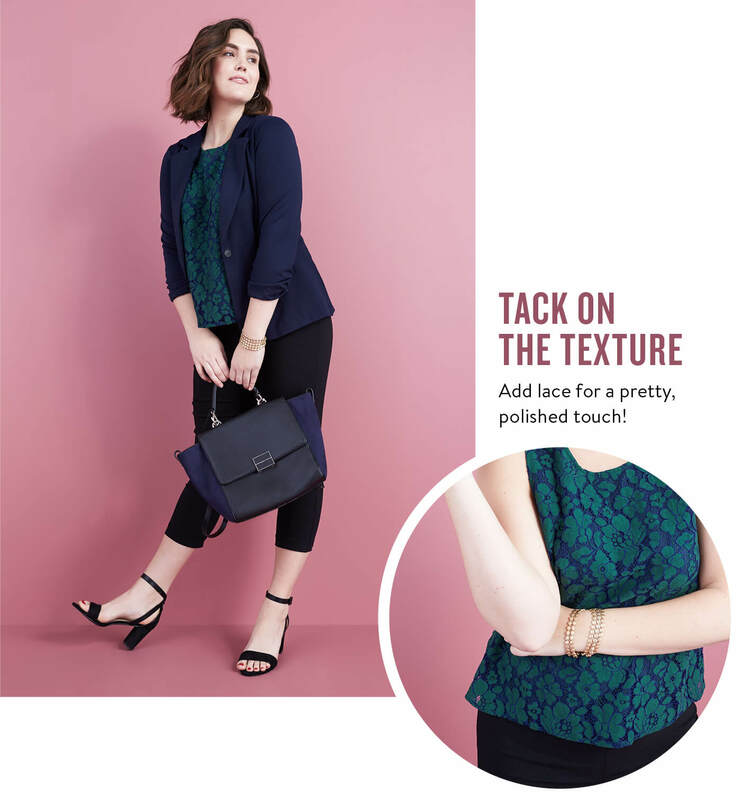 Bring this sophisticated look to your 9-5 rotation by choosing a color story and pairing tonal varieties. 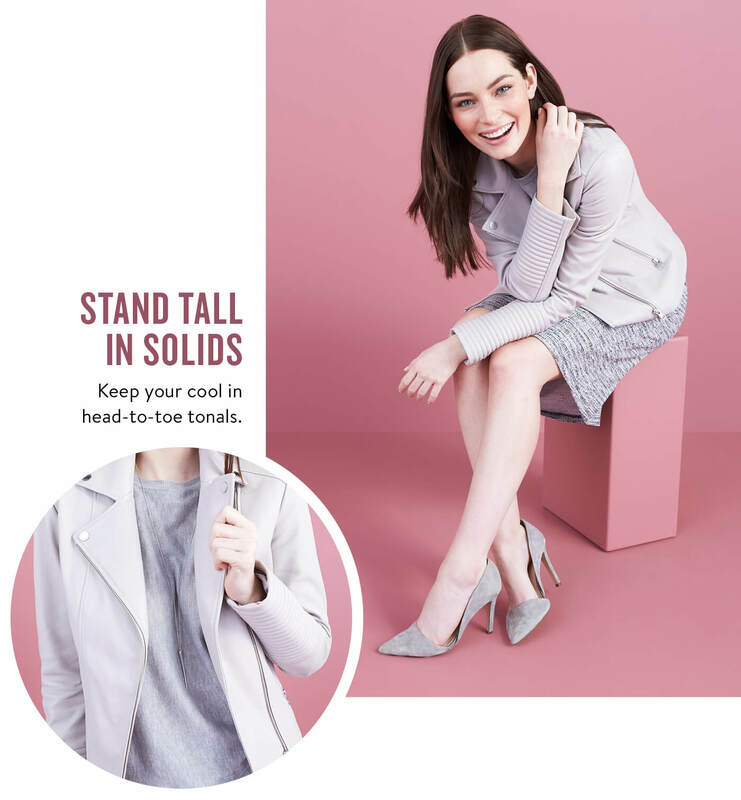 For a fresh, airy feeling, opt for blush tones or modern pale grey. See more ways to wear this monochromatic trend. Pinstripes aren’t just for the boys. This historically masculine pattern looks incredible when paired with fun prints like florals, plaids, or polka dots. When mixing patterns, also mix pattern size. Since the pinstripe is so thin and subtle, balance it out with a larger print. Stylist Tip: This look is all about juxtapositions, so pair a flowy top in a soft fabric with a structured skirt or trouser. You know what they say: maxi dress, mega comfort. Okay, maybe they don’t say that, but it’s true. 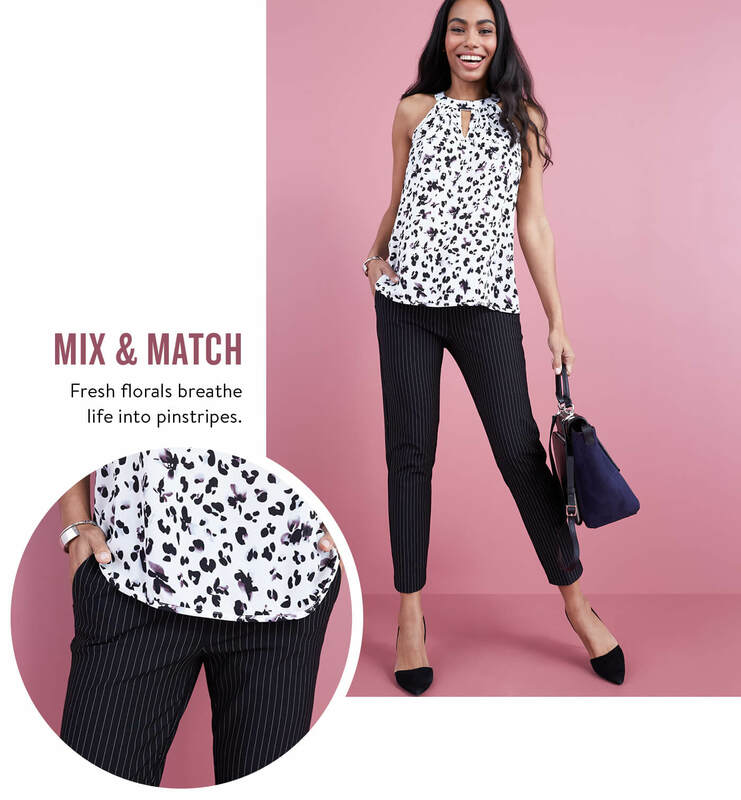 This look is great because you’ll feel like you’re wearing pj’s to work, but to everyone else, it looks like you dressed up! Perfect for days when you just can’t handle a waistband. Take your favorite flowy, floor-length dress, pair it with a structured blazer, and you’re good to go. Bold florals are one of spring’s biggest trends. And one of our favorites! The key to this look is, the bigger, the brighter, the better. Read: no wallflowers here. This fun pattern is a perfect way to have a little fun with a “safe” length dress. Stylist Tip: You won’t need a lot of jewelry with this look, so offset your bold pattern with an oversized satchel and some fun platforms. Which trend do you want to try at the office? 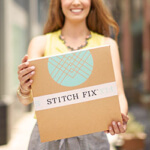 Let your Stylist know by pinning your favorite look(s) to your Pinterest board!